Tech Lighting Pitch Collection 1-LED wall sconce has voltage rating of 120-Volts. This 10-Watt LED lamp has color rendering index of 80, color temperature of 3000K and delivers brightness of 700 Lumens. It features die-cast metal construction. It supports electrical box mounting. It measures 5-Inch x 3.9-Inch x 5-Inch. 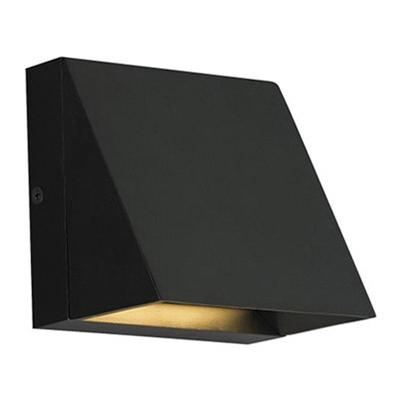 This wall sconce mounts on either 4-Inch square electrical box with round plaster ring or an octagonal electrical box. Explicitly it is suitable for both indoor and outdoor applications. Wall sconce is ETL/cETLus listed and ADA compliant.